As part of an ongoing effort to provide opportunities for young people in the Somali territories, Silatech and local partner Shaqodoon have launched a “One Stop Shop” (OSS) center for youth employment and business support services in the Somali capital of Mogadishu. This is the third in a series of One Stop Shops now open and bridging the gap between job seekers and the local business community. Located in the main city centers of Hargeisa, Bosaso, and now Mogadishu, and easily accessible to both youth and employers, these One Stop Shops serve as knowledge, advice and career guidance hubs for young job seekers and entrepreneurs, as well as for business owners looking for skilled youth to employ. OSS services for job seekers include work readiness training (CV writing, interview practice, communications), career guidance, work placement, and financial literacy training. The OSS centers make use of Shaqodoon’s existing SMS-based platform to connect young people directly with jobs, internships and training opportunities. As direct linkage with employers is an essential part of the OSS strategy, over 300 private sector employers will be registered and trained in the three cities in order to participate in Shaqodoon’s own employment platform. Aspiring young entrepreneurs are now able to access entrepreneurship training and business development services. Those who successfully complete training are linked with the two leading microfinance partner institutions in Somalia/Somaliland, MicroDahab and Kaah Islamic Microfinance Services (KIMS). Youth employment and entrepreneurship programs are needed in Somalia. According to the UN, over 70 percent of Somalia’s population is under the age of 30. The country has one of the highest youth unemployment rates in the world—at 67 percent—and six out of every 10 Somalis intend to leave the country in order to pursue better economic opportunities elsewhere. Silatech is a regional social initiative that works with partners throughout the Arab world to promote large-scale job creation, entrepreneurship, access to capital and markets, and the participation and engagement of young people in economic and social development. 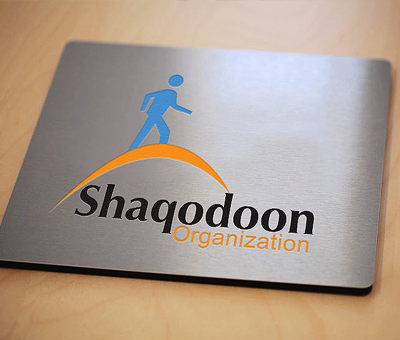 Shaqodoon is a youth-serving NGO that provides Somali youth with skills training, access to work, internships and self-employment opportunities.